I recently opened an account with Lynda.com, an online training service offering on-demand video tutorials covering a wide variety of software applications. It’s a great service with super-high-quality content and I have learned a lot…it would have been a bargain at twice the price, seriously. Anyway, I had an issue with my account that was completely my own fault. I won’t get into the goofy-stupid details, but basically, I screwed up. I sent a note to Lynda.com’s customer service department…not really expecting them to have pity on me or even to respond, but I thought, “oh, what the hell”. In my opinion, only about 1 in 1000 companies really ‘get’ good customer service, but I had nothing to lose. I took a shot. Not only did Lynda.com bend over backwards to take care of my request immediately…I also received a personal follow-up note from one of their customer service reps. She wanted to make sure that I was, indeed, a happy Lynda.com customer and that the issue was handled to my satisfaction (thanks, Julie!). What does this story have to do with Internet Marketing? I love Lynda.com. I cannot stop telling people what a great product this company offers and I have re-told this story to at least 20 of my friends (and they will tell at least 20 of their own friends). 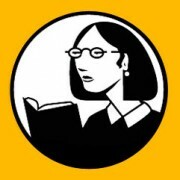 As a result of this word-of-mouth marketing, many of my friends (and my friends’ friends) are now lynda.com customers. The bottom line: A company is nothing without its customers, and happy customers are your company’s greatest assets. Do you have great customer service? Are you building your brand with great customer service? Customer service is the new Internet Marketing. Let your customers sell for you. Make sure your server is giving search engines the correct response codes. Reverse IP lookups, domain history, DNS tools and more. Online CSS Optimizer/Optimiser is a web tool for reducing the file size of cascading style sheets. A bunch of useful SEO tools. A useful little spider emulation tool. Enter a keyword or website and Google will suggest/extract keywords. Get quick traffic estimates for new keywords without adding them to an account or using the AdWords sign-up wizard. When you search for your ad multiple times on Google, it can affect ad performance by showing your ad too many times without being clicked on, so use the ad preview tool. This tool will show you exactly which ads are appearing for your keywords in any given location, including your own ad, without affecting your quality score. Find common misspellings and keystroke errors. This is the mathematical formula that search engines use to determine how relevant your page is to a users search query. The ‘algo’ is the secret-sauce that makes one search engine’s results better than another‚ and is a heavily guarded secret. The reason? Well, if people knew how to manipulate the algorithm, they would just build their pages so they rose to the top of the results page, even if it wasn’t relevant to a users query. Search engines make their money by providing relevant results, so they keep their formula to themselves. Algorithms are constantly changing to provide better results and to weed out search spam. Also called “Inlinks”. These are links back to your website from an outside source. As the theory goes…the more backlinks that you have from other important and trusted websites, the more important the search engines will think your site is (and they will rank it accordingly). On the other hand, if many bad, untrusted, or spammy websites link to you, the search engines will either give you no credit for those links, or they will issue you a spam penalty and lower your rankings. Hint: Don’t buy links from link farms…let people link to you naturally. These are the words and phrases that people type into search engines to find information. You want to ‘think like a searcher’ when determining which phrases to use on which pages of your site (Hint: Each page should target specific keywords). Keyword research is one of the most important aspects of both Search Engine Optimization and PPC Advertising. You want to use the actual phrases that people use in your copy (using two, three and sometimes four or five-word combinations). It’s really simple, if your copy doesn’t talk about what people are looking for, it isn’t likely that you’ll be found. Don’t underestimate the importance of your keyword strategy, some people make entire careers out of getting it right. These are tags placed at the top of your HTML document (but not visible to users) that provide additional information about your page. The only ones to really worry about are the DESCRIPTION and the KEYWORDS tags. The DESPRIPTION tag should, obviously, describe what the page is about (keep it under 15 words). A search engine will sometimes use this as the description for your listing on the SERP, sometimes not.In the KEYWORDS tag, place a dozen of the top keywords that appear ON THAT PAGE. Don’t stuff this tag with worthless garbage with the expectation that you’ll achieve better rankings. The KEYWORD tag just isn’t that important any more. I have read that some engines will look for common misspellings in this tag, though, so you may want to take advantage of that. This is Google’s method of measuring the importance and value of a Web page (based on connectivity). Google considers a link to other website as a ‘vote’ for that site. The more links, the more votes, and the more important Google assumes you are. It’s way more complicated than that, though, and cannot be thoroughly explained in a sentence or two. You can read all of the juicy details in Larry Page’s (the ‘Page’ in PageRank) and Sergey Brin’s paper, “The PageRank Citation Ranking: Bringing Order to the Web“. An advertising model where a business can have ads placed on a search engine result pages based on a user query. The advertiser creates an ad and bids on keywords so that the ad will appear for different searches. They are charged the bid cost when a user clicks on the ad. An umbrella term for marketing your products or services over the Internet and WWW. Methods include (but are not limited to): search engine optimization, paid inclusion, online press releases, opt-in newsletters, pay per click advertising, website log file analysis, public relations, copywriting, managing affiliate programs, and more. Any activity that makes your website more visible and effective. The act of modifying your website so that you rank well in the organic listing section of a SERP. These are the free listings; the ordering of results is based on how relevant a SE (Search Engine) thinks your page is based on a user query. A spider (or ‘bot’ or robot) is a little software program that crawls the Web, jumping from hyperlink to hyperlink, finding and collecting content. These little guys are constantly trying to keep the search results fresh and up-to-date and they never take a vacation. Some sites get crawled daily, some weekly and some monthly. Some cannot get crawled at all due to bad site design, server problems, dead links, database problems, or other technical issues. A spider visiting your site is a good sign, but it doesn’t guarantee you’ll see results right away. The spider just collects the data, a lot more processing has to go on behind the scenes before your page gets updated in the engines. There are different kinds of spiders. Some just look for 404 errors, some just look for images, some for blog feeds, etc. Variations on a keyword using the root of the word (to obtain new words). E.g. optimize, optimization, optimized, and optimizing. While search engines may treat all these words as the same, stemming gives you the opportunity to use more of your keywords more naturally throughout your content.